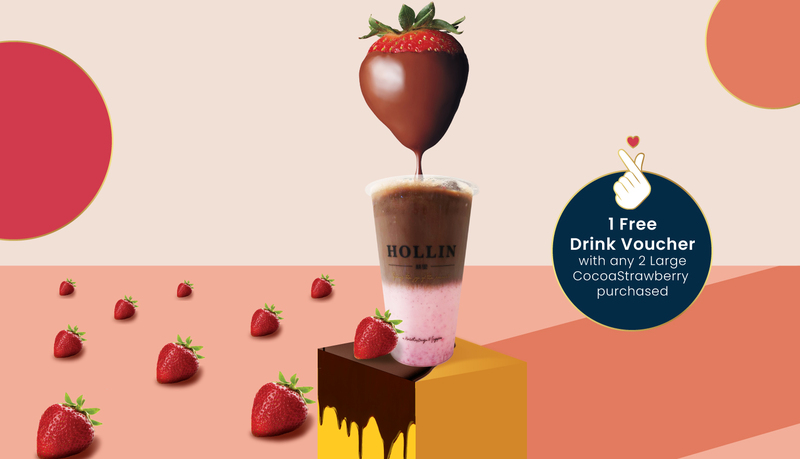 Get a Free Drink Voucher with any 2 Large Cocoa Strawberry drinks purchased at Hollin. Valid from 14 Feb onwards (while stocks last). Hollin is located at East Wing, #02-605.